Hi Sherman, we’re wondering: What spurred your recent interest in “dance films”? My interest in ‘dance films’ is actually not so recent. I Want To Remember (IWTR) is my sixth dance film. I made my first dance film in 2002 – Exodus Wanita Yang Berlari – commissioned by the Indonesian Contemporary Dance Centre. Then I made 3 more dance films for Arts Central programme Destination Dance in 2005. Yuni Hadi was the Commissioning Editor then. Between 2005 and 2010, there were no opportunities for me to make dance films but I have always liked contemporary dance. My dance films over the last two years were commissioned by the Singapore Arts Festival. I have to thank Yuni, Tang Fukuen and Low Kee Hong for spearheading this dance film initiative. We know this short film was primarily made for the Singapore Arts Festival. But what was the influence behind this piece? I was influenced by the overriding theme of the Arts Festival — “I Want to Remember” — which is also the title for my work, my personal experiences and also from research. Why did you choose the premise of Singapore’s separation from Malaya? I felt it fits the theme of the Arts Festival, and I am also interested in our relationship with the past and with history, particularly how the separation has affected the lives of individuals on both sides of the Causeway. I think the film deals with the past, and to be more precise, the memory of this past. It deals with different versions of History, as well as the personal histories of individuals who were powerless to go against the political tide of the times, resulting in a conflict between following one’s heart and the ideologies of that period. It is partly inspired by real events and individuals whose lives changed as a consequence of the events post-1965. The work deals, among other issues, with shared histories and familial ties between the two countries where, if one were to dig far enough, every Singaporean has a link to Malaysia. For me, my grandfather came to Singapore before the separation. After Singapore and Malaya separated he became a Singaporean and now has another family here. As a Malaysian, how do you relate to Singapore-made content, especially since you’re based here? I have lived here for more than half of my adult life. I had my education, and built my career, here. I am already a pseudo-Singaporean. But of course I still had to do extensive research before I started on scripting for this film. Take us through how you pieced the production together – music, dance, narrative and all? It actually all began with the theme of the Arts Festival and my interest in the history between Singapore and Malaysia. When we watch annual National Day Parades we are always shown the iconic scene in which Lee Kuan Yew shed tears. I wanted to lift the veil of this iconic scene and ponder how the separation affected the common folks of both nations. This prompted me to do some research on the matter, adding fictional elements along the way. Essentially, the film has been inspired by real events and provides a fictional composite of those events that took place pre- and post-separation. MUSIC: I received an unsolicited email from John Chua (Bio: http://www.johncgh.com/jcvalcon/JCValcon_Studios.html), who eventually composed music for this film. I felt his music had the depth and breadth to support the story. We had a lot of initial discussions about various issues — religion, politics, musical influences, ideology etc. My reference to him was Joe Hisaishi, who had a long collaboration with Kitano. DANCE: Lim How Ngean, a friend and dramaturg with the Singapore Arts Festival introduced some interesting dancers from the Fine Arts Academy (Aswara) in Malaysia. We made some contact and met up with Hanafi and Xinying to feel their vibes and determine whether they are suited for the film. Hanafi roped in four of his friends. In location-scouting, we eventually settled on Rimbun Dahan after recceing several locations. We also had a lot of help from Datin Marion D'Cruz and Joseph Gonzales, dance lecturers at Aswara, and from Bilqis Hijjas of MY Dance Alliance. NARRATIVE: With Hanafi, we discussed Pina Bausch, Dv8, contemporary dance, butoh, silat and racial politics. Pina had a work using the music of Gershwin, The Man I Love. Her work was inspirational and became a jumping-off point for me. I think this film could be seen as a homage to Pina. I then got in touch with Dato Rahim Razali, a well-known and respected Malaysian stage-and-screen actor. 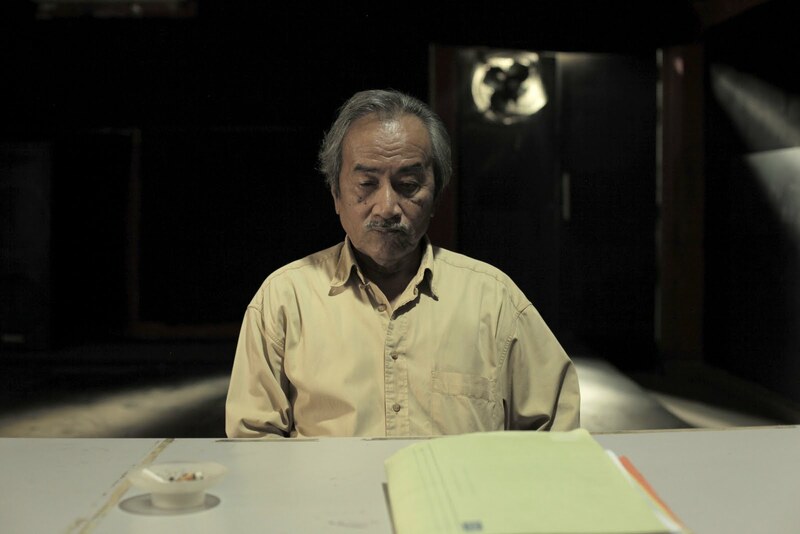 Singapore viewers might have seen him in Yasmin Ahmad’s Muallaf. I told him the part was written for him. I cannot make the film if he doesn’t agree. Luckily, he did. I also asked Azharr Rudin to be my editor. The filmmaker behind This Longing, Azharr has also been editing most of Amir Muhamad’s films. He is part of production house 13 Little Pictures. Prior to this Kent Chan has been editing most of my films because he knows my style. I sought contacts for collaborators from Malaysian filmmaker Edmund Yeo, and Fei Ling from Da Huang Pictures to act and line-produce the film. This was how the core team is formed. After the script was written, I needed a song to anchor the closing scene. Azharr commended a few local musicians, one of which was Azmyl Yunor (http://www.reverbnation.com/artist/song_details/3984066) whose song Lena (http://www.youtube.com/watch?v=dtIHOU7mkmY&feature=watch_response) caught my attention. Incidentally, Fei Ling also knows him as he had made music for Tan Chui Mui’s Year Without A Summer (Berkelana). What were some of the challenges you faced in making the film?Our lead dancer had a very bad cut, stepping on a bamboo splinter during the first scene we shot on the very first day of the shoot.